I was nominated by my lovely friend Brittany from Southern Soul Blog for the 8 Photos of Happiness challenge! This challenge came at a perfect time because I experienced some negativity this weekend and instead of dwelling on that, I am going to put my energy into focusing on the things and people that make me happy. ☞ Either choose to write a description of the photos & why they make you happy, or you can let the photos do the talking! ☞ Spread the happiness by tagging up to 10 other bloggers! 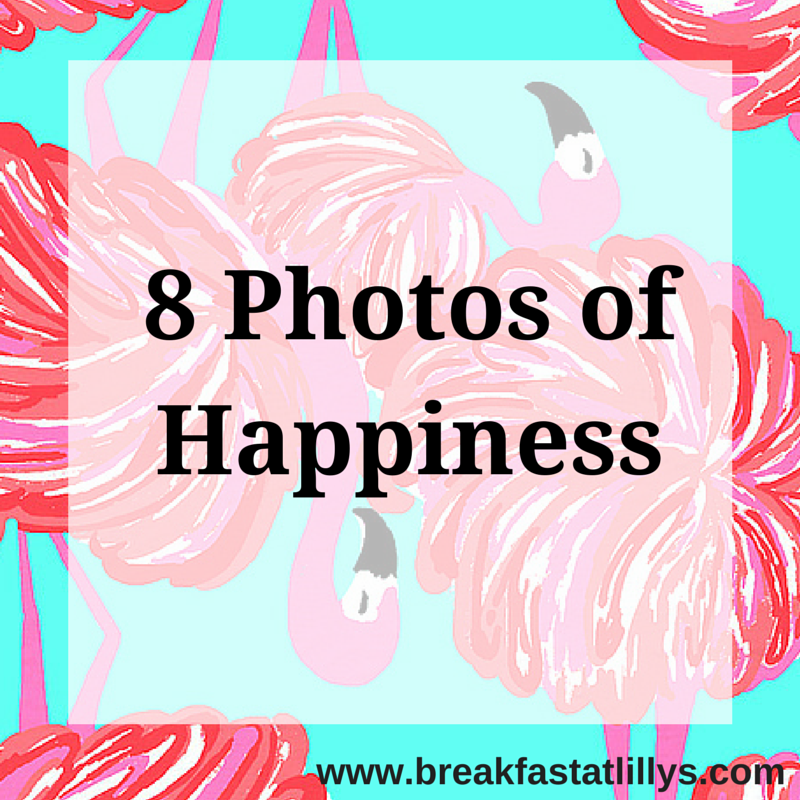 Now onto the 8 photos of happiness challenge! This is such a fun memory. This is a photo of my parents, my big, and I in the US Virgin Islands in December 2011. We were on a super old wooden sailboat on a beer tasting excursion. This was such a wonderful vacation and it was great to make life long memories with both my parents and big. Here’s a photo of me and my handsome boyfriend Mike in Hawaii last summer. He’s my favorite person in the world and I would not change a single thing about our relationship. This was one of my favorite vacations of all time and one of our favorite memories together so all of the pictures from this trip are very near and dear to my heart. Here’s a picture of my adorable puppy Wishbone when he was super tiny and not chubby like he is now. He’s my favorite puppy ever and he’s stolen both my parent’s and I’s heart over the past four years. This is one of my best friends Katy and this photo is from our last Alpha Omicron Pi semi formal. She always has my back and has been an integral part of my life for a few years now and I wouldn’t change our friendship for the world. We talk pretty much every single day but only are able to see each other about once or twice a year since she’s in law school. This is one of the first pictures Priscilla and I ever took so it definitely holds a lot of meaning. Priscilla was my roommate and we were pretty much attached at the hip for a lot of our collegiate career. She’s one of my very best friends and although we only see each other once or twice a year now, each time we see each other it’s like we pick up right where we left off. This picture is from when I got to attend my sorority convention in Chicago. This is me and a few of my sorority sisters with the past international president of Alpha Omicron Pi. It was such a cool experience and I am glad to have so many photos from the convention. This picture is from my little Katie’s initiation into our sorority. This was an amazing moment for me because this was my first time initiating someone into our chapter and being able to share our bond with her is so much fun. Katie is like my child and I am super protective over her. She makes me a proud big on a daily basis. This photo makes me happy because it’s from the day that I went to the Taylor Swift concert back in 2013. It was one of my favorite concerts that I’ve ever been to and my mom enjoyed it too. We sang and danced all night and had the time of our lives. What are some things that make YOU happy? Share your own 8 photos of happiness with me. Let me know down in the comments.